In a city where good architecture is practically de rigueur, Graz still manages to surprise and inspire with the strength and sheer variety of its built environment. In fact, the city’s stable of progressive architects seems intent that it should not simply rest on its laurels as a UNESCO World Heritage site. Leading the charge is architectural outfit Ernst Giselbrecht + Partner. Since founding the firm in 1985, principal Ernst Giselbrecht has parlayed his passion for light – filtered and mechanically controlled light to be precise – into a series of bold and generously lit public buildings. Thanks to his training as both architect and mechanical engineer, the Giselbrecht oeuvre is extensive, covering everything from clinics, railway stations and schools to research facilities and university extensions. His most recent work for Kiefer Technic is a high water mark for these ideals. 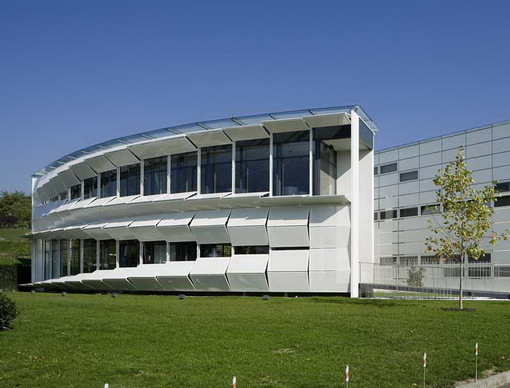 A manufacturer of doors and equipment for hospital operation theatres and stainless steel furniture, Kiefer asked for an airy showroom – overlooking a park – that showed off the firm’s products to best effect. 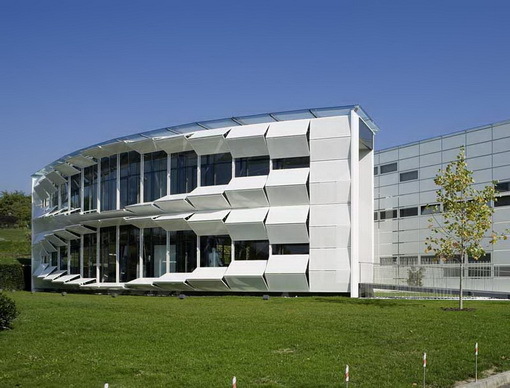 Giselbrecht’s solution was to clad the entire southern end of the showroom with a wall of white aluminium louvre panels that open and shut using an array of electronically-controlled horizontal hinges. 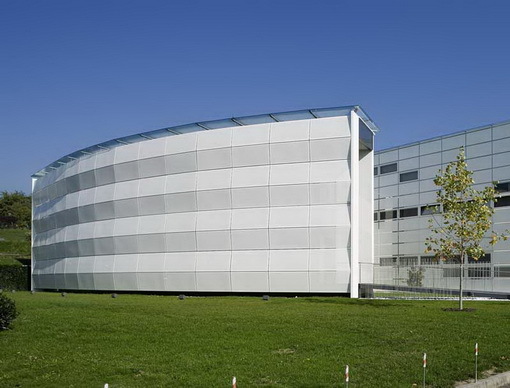 The result is a building whose façade gracefully morphs in a series of concertina folds depending on the light requirements and warmth tolerance of those inside. The system can be programmed to display countless patterns and configurations, giving what could have been a humdrum office a fascinating animated façade. Un autre type de "media façade"! Un peu plus intéressant. During the E3 2009 expo, which was held from the 2nd to the 5th of June, Microsoft presented Project Natal. The project brings human-computer interaction without an electronic input device to the masses. By capturing your full body movement and your voice (and being able of doing this for several people at the same time) it brings gameplay to an entirely new level. Interesting to see is that again activities within games which up till now didn’t seem fun enough for the player to be involved in, are suddenly becoming much more interesting simply because the type of interaction has changed (the video shows an example of changing the tires during a race). The same thing happened when the Nintendo Wii was introduced. By adding more physical engagement, the fun-factor of certain activities is increased. Could this be a general rule within gaming and other activities which involve play? More physical engagement equals more fun? Off course it’s not applicable to every type of game, and the amount of fun or ’satisfaction’ one gets from playing a game isn’t only determined by the degree of physical engagement (think of puzzle or strategy games where this is achieved on a more reflective level), but it certainly proves to be quite a big factor. This technology will soon find it’s way out of the gaming industry and into other industries, as Steven Spielberg already indicated at the E3. The question now is how big it’s impact will be. Un pas plus loin que la Wii? Pas certain que ce principe d'interaction "sans rien" fonctionne avec tous les jeux ou tous les contenus, mais pour de l'"air guitar", ça ira très bien! Prévoir un grand salon, des meubles solides et pas trop dommages en cas de casse (adieu le beau canapé, les vases de designers, tableaux, beaux tapis, luminaires, etc. ), une pièce bien éclairée et certainement un sol ainsi que des murs clairs! 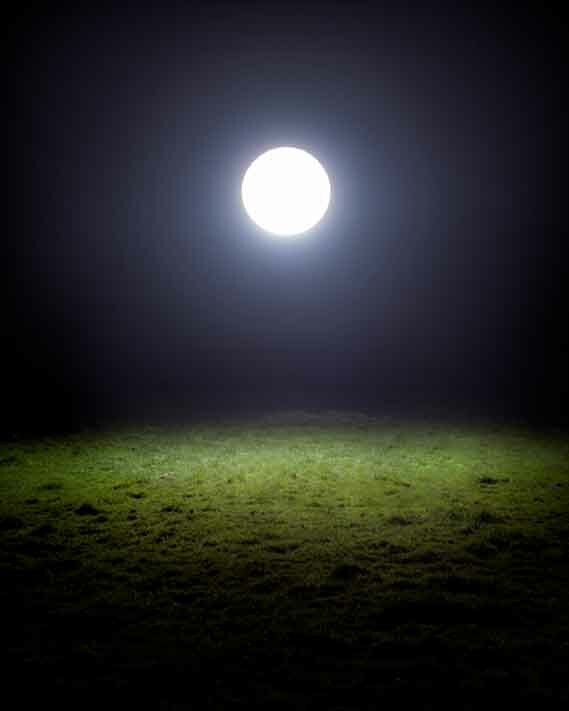 Opening tomorrow at the Smithfield Gallery in London is a new exhibition by United Visual Artists. The collective is perhaps best known for its large-scale light-based installations made for clients including Tate Modern, Giorgio Armani and Massive Attack, yet for their first solo show, UVA have created a series (titled Deus) of still images, displayed on lightboxes. "Most of our light works are experiential, set in the real world for people to touch, feel and interact with; they're here today, gone tomorrow," say Matt Clark and James Medcraft of UVA, who created Deus. "The challenge we set ourselves with this exhibition was to distill these explorations with light into single images, while retaining the emotive quality of our installation work." 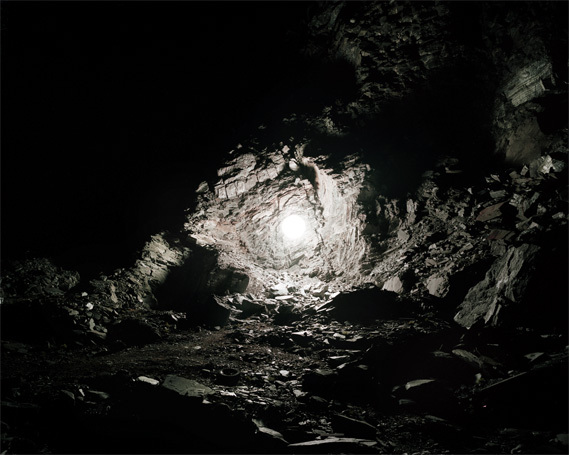 "The exhibition will contain a series of large-scale photographic prints which explore the effect of artificial light on the natural landscape," the pair continue. 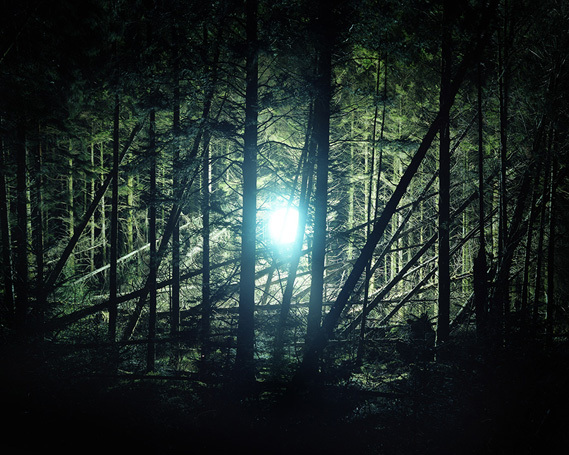 "We travelled to the darkest depths of Britain, looking for places that had been influenced by man's intervention but never artificially illuminated. Introducing the artificial light had a transforming effect, literally creating a new place that only existed momentarily." The exhibition will continue until June 26. More info is at thesmithfieldgallery.com. In a campaign to promote the Editoras Online bookshop, DDB Brasil created a book that regularly updates its content. 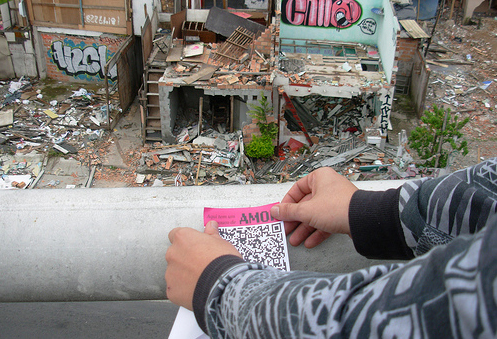 The book, which is available exclusively from Editoras Online, features a series of QR codes. Using a mobile phone, the reader can decode them to reveal messages about love and hate that have been posted on Twitter. These video explain how it works. Click HERE for the video. Every time someone who is following the campaign's Twitter profile tweets a phrase containing either the words 'love' or 'hate', that phrase is captured and linked to one of the QR codes in the book. Tiago Marcondes, who created the campaign, explains that they would have liked to pull in phrases from all over Twitter but lawyers advised that only those of people following the campaign could be used. 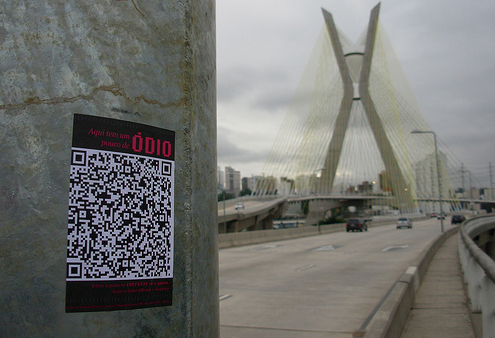 To promote the book, before it was launched DDB posted 4000 stickers bearing 200 different QR codes around São Paulo. Each sticker says "Here's a moment of love" or "hate" and has a QR code below. 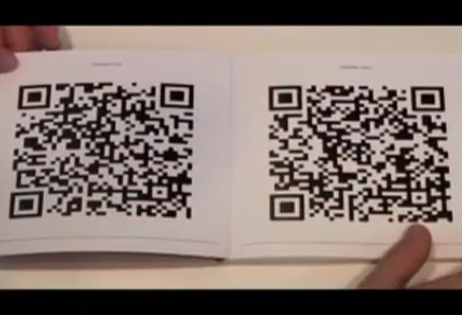 As with the book pages, those with QR-enabled phones can decode the graphic to reveal a phrase from Twitter. 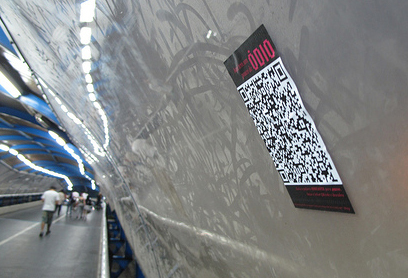 All the stickers and the QR codes in the book are updated with new phrases every 7 days. Le lien entre web et livre, entre objet statique et données dynamiques. On a déjà vu plusieurs projets de ce type, certains mieux réussi (notamment l'aspect visuel du code), mais voilà un exemple qui peut donner des idées sur la façon de lier une communication papier et web.